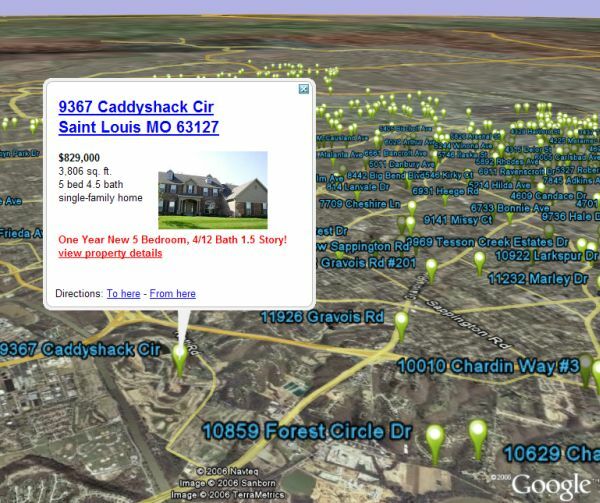 Trulia has a very limited use of google earth. "Earth" means a bit more then "America" and the earth is full of real estate outside of America. North America that is of course. (on google earth it looks really nice cause one sees the lakes and green around it. Will appreciate any suggestion of such listing on the internet. And if there isn’t: now there’s a good idea for a young and energetic programmer who want’s to start his own start up…. There is an Australian website which draws info from the major real estate websites and presents the listings in Google Maps & Google Earth. Just type a suburb in the top right corner eg Cronulla and you are presented with Google Map. You can then select to view these in GE. If I were looking for real estate I would want it to be a network link so I would not have to keep getting the new info from the website. i mentioned the same point too, i am interested in the technology incorporating UK property listings.. any ideas anyone?